(800) 656-9862 Expert Pet Damage Repair Livingston- Talk to the Owner! There are no bad days when you come home to a dog; unless you come home to find your dog has dug a hole in your carpet. Regardless of where the carpet damage is, it is a frustrating experience for homeowners and renters. Creative Carpet Repair Livingston, CA is here to ease those frustrations. Our skilled technicians will repair your damaged with expert precision. Carpet Repair is an affordable option for clients. We will extract the damaged area of carpet and insert a donor piece. To complete the repair, we use spare carpet or carpet from a corner of a closet. Carpet repair is not a long process, our technician will be in and out of your home in a few hours. Whether you need carpet repair before you move out or sell your home, or just looking to get your pets’ damage repaired, you’ve contacted the right company. What if you didn’t need to spend hundreds of dollars to replace your carpet? In many cases, what you may think is “damaged beyond repair,” isn’t. 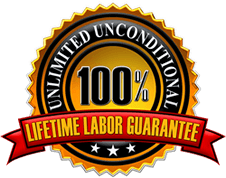 If you have a carpet repair concern in the Livingston, California area, Creative Carpet Repair and Cleaning technicians are trained and certified to repair many of the most common and troublesome carpet repairs. Pets, can be hard on your carpet, but don’t let their carpet damage be too hard on your pockets. Contact our office today, we would be happy to provide discuss your carpet repair and give you a free phone estimate at 1-800-656-9862. Feel free to visit our website and view our recent jobs tab to see before and after pictures of our work as well….CreativeCarpetRepair.com…Repair it! Don’t Replace it! We are proud supporters of the Wolves of Livingston High School in Livingston, CA! Go Wolves!